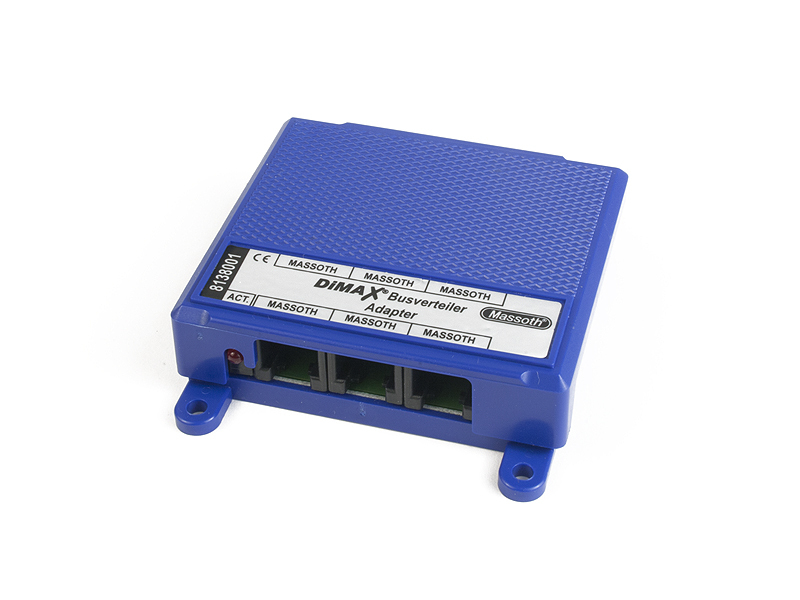 The Massoth DiMAX 500A Adapter adds 5 ports for wired connections to the DiMAX Bus of a Massoth central station, or an equal number of ports for wired connections to the MTS-Bus of an LGB® central station. The adapter is equipped with a check light that indicates its status. The adapter is powered by the DiMAX Bus; an external power supply is not required.